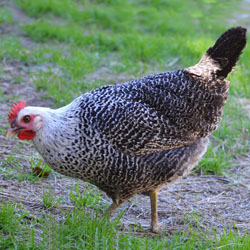 This unique autosexing breed was developed in Sweden, and the hens lay very large eggs for their body size. An ultra-exotic and beautiful bird uniquely adapted to the cold. 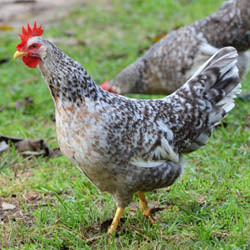 A unique breed that hails from Sweden and is known for its moss green eggs. What this tiny Swedish landrace breed lacks in size, it more than makes up for with boldness and charm. 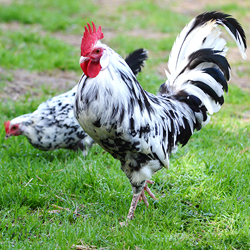 Once exceptionally rare, this breed has gained a cult following in the U.S. This exotic, Swedish landrace breed survived on the formidable coast of western Sweden where it scavenged fish to survive. You won't find a more tenacious free-ranger. Regal good looks and the ability to out-lay almost any other breed can be found in this ultra-rare import from Sweden. 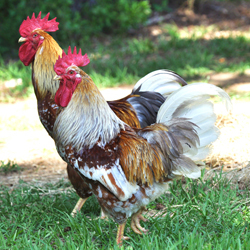 This quiet, red-breasted breed lays lots of tasty tinted eggs. 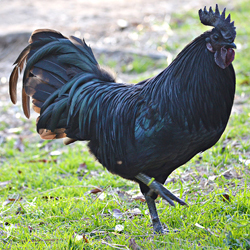 A sturdier, more cold-hardy version of its distant cousin, the Ayam Cemani, the Swedish Black Hen is an utterly captivating bird. Combining practicality with bewitching good looks, this breed is definitely a conversation starter. This beautiful Swedish landrace breed possesses all the splendor and diversity of a field of wildflowers.